Those of you subscribing to our weekly newsletter already have it in your mailboxes for some 24 hours. Others may find it useful to stay up-to-date with the weekly digest in order to not miss key stories! 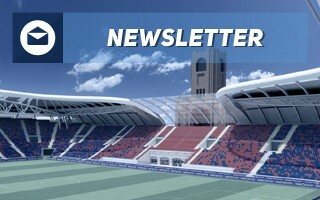 Welcome to our weekly newsletter no. 67th. First things first: please feel welcome to nominate your favourite stadium of 2018. There are still over 24 hours left to submit a nominee for Stadium of the Year. We already have 20 confirmed nominees and several more awaiting approval. Find the list and ways to add your candidate here. Keep in mind, the Popular Vote will begin on Sunday, February 3! Sunday is also the day of 2018's Super Bowl. 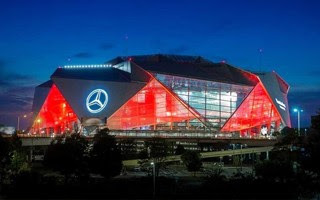 The host venue, Mercedes-Benz Stadium, has been subject to a number of controversies, not least because of tax exempion. One of the world's most expensive stadia's operator should pay – according to the claimants – no less than $26 million in property tax every year. According to residents, standing against public officials who allowed a tax exemption, a number of errors were made in the process, benefitting one of USA's richest people. A completely different set of issues is following a former Super Bowl host, Santa Clara's Levi's Stadium. We wrote a lengthy piece about it recently. In Benelux we're looking at interesting prospects in Alkmaar and Kortrijk. 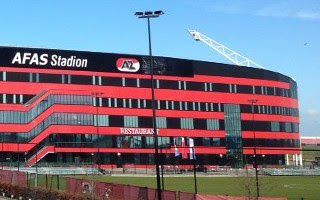 The first city might see expansion of AFAS Stadium to more than 20,000 seats by adding new front rows. Such move would enhance atmosphere and boost matchday revenue. Meanwhile in Kortrijk the plan is much bolder: an entirely new stadium for 15,000 people could be worth €40-50 million. By far the most interesting article of the past week, especially judging by the number of your views, was the stunning design from Bologna FC. It mixes the 1927 historical walls with new compact seating bowl for 27,000 people. 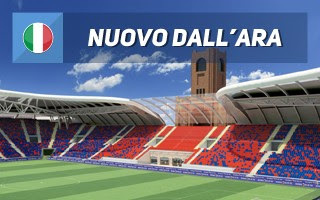 Design by renowned GAU Arena would see another fresh arena in Italy but only the first to be financed through public-private partnership. 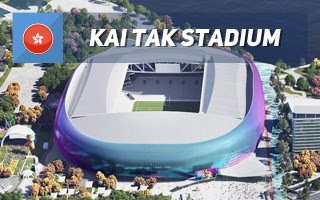 Another new stadium concept was released in Hong Kong, perhaps even more impressive. 50,000 seats and soundproof retractable roof – all that sounds really impressive. And we haven't even got into its surroundings. Indoor sports hall, vast leisure precinct and extensive commercial developments around. All that at the heart of a global metropolis, replacing the former Kai Tak airport. 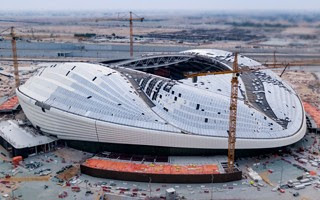 Finally, let's take a look at Al Wakrah Stadium, one of the most impressive upcoming stadia! It should have been ready by the end of 2018 but there's absolutely no rush for the Qatari World Cup hosts. And already now the Zaha-Hadid-designed venue looks very impressive.